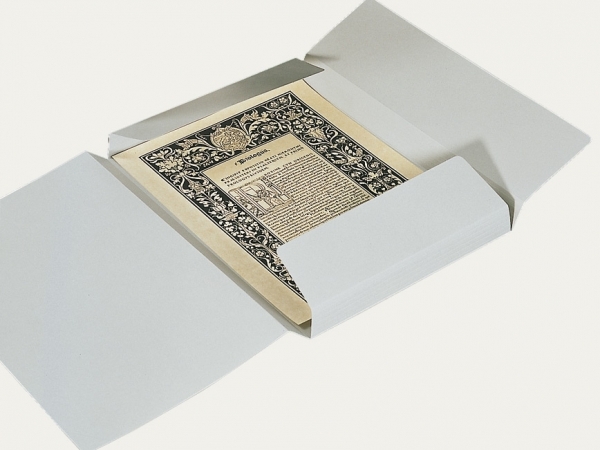 For centuries folders have been the simplest and most economical method for the storage of sheeted objects. 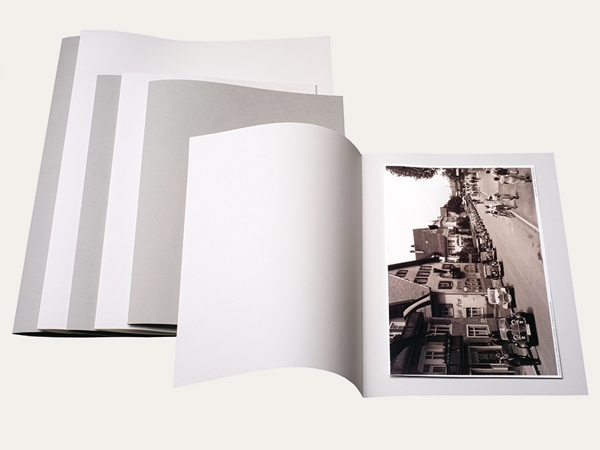 Originally folders with flaps were made by placing two strips of board or paper at right angles to each other. Preferably folders are made from a single piece, thus with no glueing requirement of edges etc. which could cause damage to the archived object. 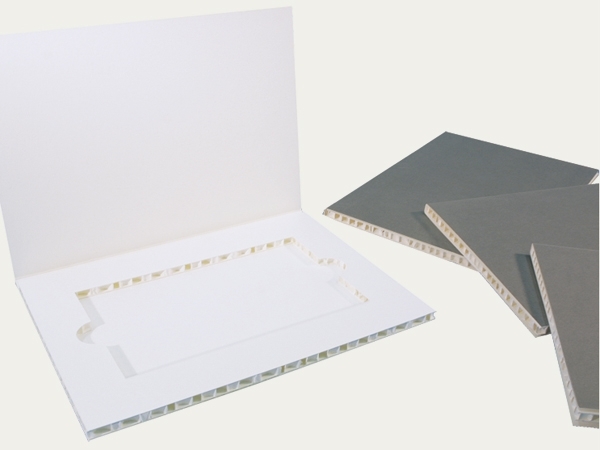 Honeycomb preservation folders are suitable for storage of pressure-sensitive objects. They are generally composed of a frame with grip holes for removal of objects and a lower cover or flap. Honeycomb preservation folders have proved to be very useful. Several layers of these are often stacked in clamshell boxes for storage. Folders with filing mechanism can be used to store punched archive material in a specific order. 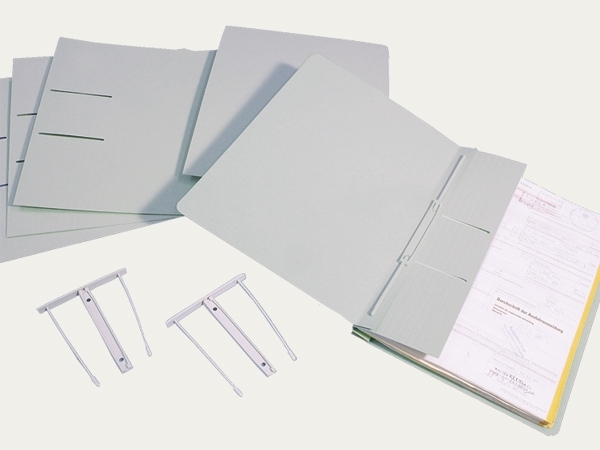 Folders with a KLUG-CONSERVATION filing mechanism can hold the contents of a complete binder. Compared to storage in binders, storage in folders with filing mechanism reduces storage requirements by 50 %. Leafing through and copying the documents contained is easy thanks to the mechanism developed by KLUG. Folders with flaps, sometimes referred to as expansion folders with flaps, are common. They are an economical way to collect, protect and group objects. Folders with flaps and multiple creases can be used to store different material quantities in units of the same surface area, which are easy to stack or store in archival boxes.